If you are new at this exercise, it is advised that you use a spotter. If no spotter is available, then be conservative with the amount of weight used. Also, beware of letting the bar drift too far forward. 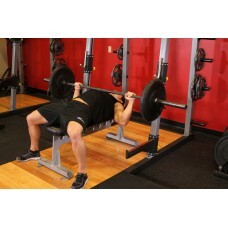 You want the bar to touch your middle chest and nowhere else. Don't bounce the weight off your chest. 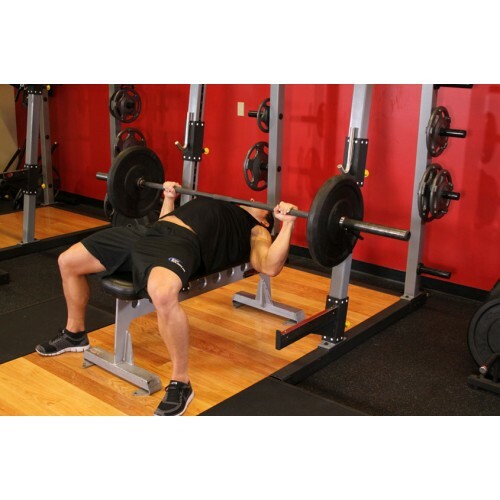 You should be in full control of the barbell at all times.